This past Monday I went to the Good Will Stores that are further away from my house. I was not really thinking I'd find anything like this item I found for the price I bought it for... 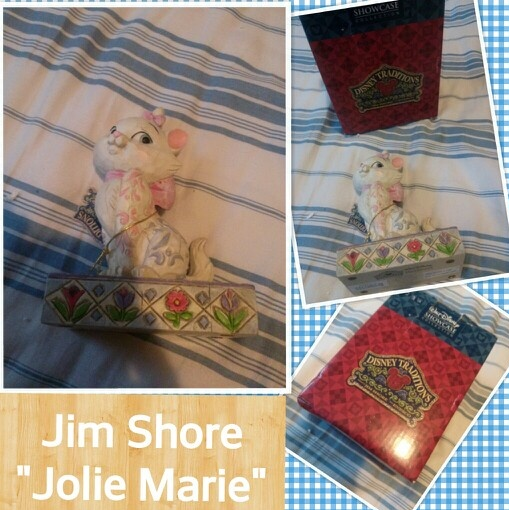 But anyway, I found a Jim Shore wooden Jolie Marie. It's pretty much in good shape and came in the original box and came with the little card for those who want to display it on their shelve. Awesome. I used a phone app called "Photogrid" to make this picture.